Myanmar has earned $490 million from the export of industrial products, including natural gas, in the last two months according to the Ministry of Commerce. 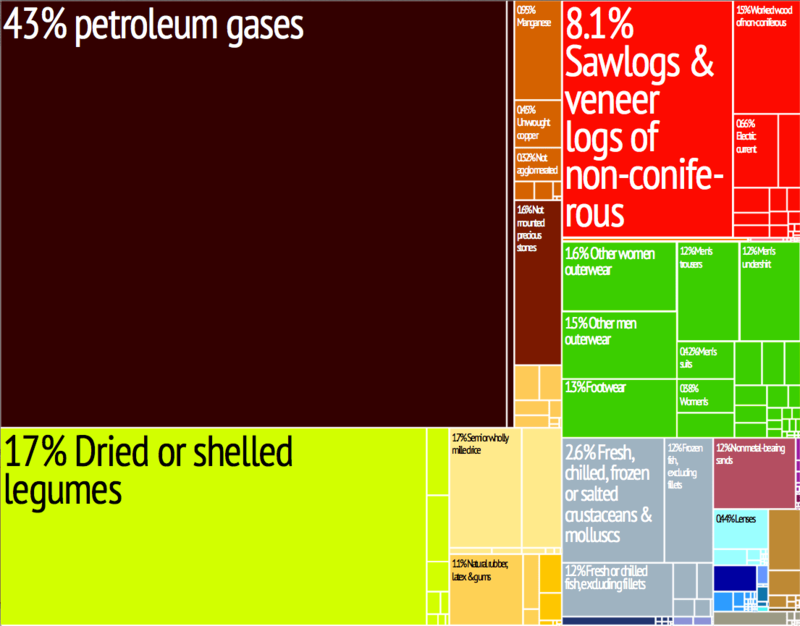 Myanmar exports agricultural products, fish and seafood products, oil and natural gas, animal products and minerals. In 2013-2014 fiscal year, over $3 billion was earned from natural gas exports alone, which remains the country’s highest earning export. Myanmar’s depends on a few main products, namely, mineral resources, natural gas, teak, and agricultural and seafood products. However, as it slowly builds up industrial capacity, it is also beginning to export other commodities such as ready-made clothes and garments. A national-level strategy for the development of export products and improvement of competitiveness is underway. The government is currently prioritising commodities and sectors where Myanmar has a competitive advantage. In the 2013-14 fiscal year (ended March 31), a total of $11 billion was earned from exports and over $13 billion spent on imports, resulting in a trade deficit of $2 billion.